Shared folders are trivial for folders on the host. Programster 2, 16 41 Post as a guest Name. If your security software is not able to exclude "rubyw. Facing a tech roadblock? Unfortunately, the VPN is only to access local servers in my organization, and it isn't "connected" to Internet. From a casual uninvolved read its tough to determine whether or not you are concerned about security only, or also anonymity. Folks who use a VPN may elect to do so for security and not really even care about anonymity. If anonymity is a concern as well, you may consider using a linux VM for a multitude of reasons. The physical isolation of a VM means that you can limit exposure in case of malware, etc. Things like the MAC, etc Does that trace directly back to you, and if so would it be a problem should it be discovered? My machine cannot even connect to the network ddwrt router panel -- once I bring up the circuit and the subsequent IP table firewall restrictions. It is positively isolated on several levels. You may not need or even want this isolation. There is a thread around here titled NGFW which is truly next level on firewall -- if that is something you want to study. BTW if I am out in the weeds and confusing the "thrust" of this thread just ignore the post and keep moving. Palancar , May 12, Couple of simple things come to mind. You could use ONE vpn for your actual person identity. The IP would be that of the vpn's but it would remain constant. Remember that for true name stuff you are NOT trying to be anonymous only secure. There is NO point in attempting anonymity for something with your actual name on it, duhhhh!! This would certainly be simple to do and provide substantial movement towards what you want to accomplish. It should be quite simple to have multiple vpn clients on your host OS. I feel it is incumbent upon me to mention that your use of one machine instead of using separate systems is injecting some risk into meeting your goals successfully. So far, Mirimir and I are the only ones posting along here. I can tell you with certainty that neither of us would use the same machine for anonymous activity and then later for true name activity. There have been many discussions about this. I feel that over time if you learn to create multiple independent systems it will be training well placed. You can have one laptop and yet many completely independent operating systems with zero cross talk among them. Palancar , May 14, May 31, Posts: There are all kinds of tags inside of a computer that can identify it uniquely. The include the serial numbers in the bios and hard drives, the Windows PID in a Windows system and any mac addresses of network devices as well as other identifying numbers in the hardware. It just takes one connection with your real identity on that machine to connect it with you. Generic VMs isolated from the host system's tags make it harder to get that information. Compartmentalization is the way go. Keep anything with your real identity on a computer dedicated to that with the appropriate security to protect your identity. Do anything else on another machine or better yet, a VM on that machine. MisterB , May 15, Yeah, it's probably better to do all browsing in the VM, other than real identity stuff which I'll do on the host. Exploring my original idea though, after installing the VPN client on the host I see on the TAP-Win32 adapter it creates it has "Virtualbox bridged networking driver" enabled on it. Do I want to leave this enabled? Most stuff, like Windows Updates will only be able to use the default connection. It might be possible to direct some programs to use a specific adapter but I can't say I've seen any. It's certainly possible in Comodo to create a Zone for a specific adapter's MAC address and then limit specific programs to only be able to use that but that doesn't really help if there's no way to make the programs use that adapter. So I'll probably just keep the client on the VM, so that I can have specific programs forced to use the VPN and other programs restricted to the non-VPN connection when the VPN is disconnected, as otherwise everything tries to use the VPN adapter and if blocked from doing so by Comodo, just can't connect. I've just noticed something rather worrying. 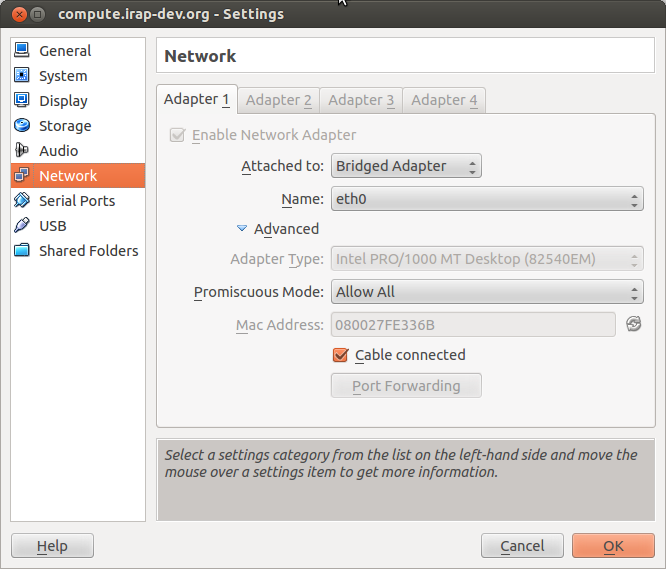 All adapters have MS Networking and file sharing disabled. Obviously before I installed the NAT adapter no traffic was going over it, so why would it now be sending everything over it as well as the VPN adapter? I disabled the NAT adapter and the torrent traffic stopped, so it was definitely using it, as well as the VPN adapter apparently. The route is usually VPNTap over the host adapter. The host adapter sees the encrypted VPN traffic. This is normal whether in a VM or real machine. It is best to use a separate machine for real ID stuff. Local Loopback inet addr: It shows the following when the tunnel is active: The loopback network interface auto lo iface lo inet loopback The primary network interface auto eth0 iface eth0 inet static address Programster 2, 16 41 How are the networks of your VM's configured in VirtualBox? I know it's not exactly the answer to your question, but for me it turned out to be easier to set up 2 VPN connections instead: From the VirtualBox documentation: Bridged networking This is for more advanced networking needs such as network simulations and running servers in a guest. You have among others these options: Aks 1 2. This worked great for me, thanks! Should be the accepted answer. Was looking for this solution for ages. Why the heck isn't this the accepted answer? So easy and correct! Had the same problem. Here is how I solved it: Change the network type of Guest System to be "Host Only" Make the default gateway of Guest point to Host's ip ifconfig vboxnet0 to find it. Last step is routing the packets coming from vboxnet0 into your VPN. If you route all traffic through VPN: If you only route certain traffic through VPN: The first link had the solution for me. 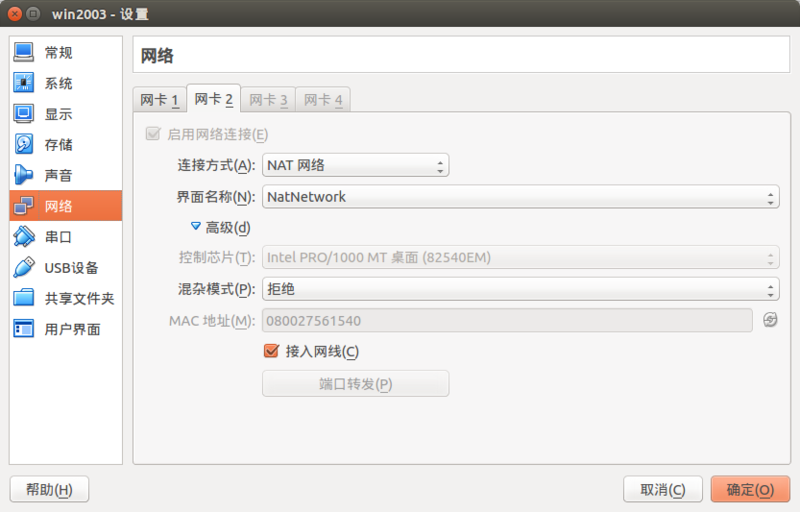 It shows how to turn on the natdnshostresolver1 option for the VM. Use the default NAT network and type this in the terminal: VBoxManage modifyvm "VM name" --natdnsproxy1 on source: Sign up or log in Sign up using Google. Sign up using Facebook. Sign up using Email and Password.